At Cygnet Dental Practice we believe that the Dental Hygienist is the most important person at the practice. Maintaining good oral health and practicing good oral hygiene at all times can prevent unnecessary and costly treatment. Although their job is to educate you how best to take care of your mouth, they also provide treatment by means of cleaning your teeth. They can also place fissure sealants and carry out Teeth Whitening too. Everyone at some stage of their life will have some level of Gum Disease. It is important to have this treated as if left you are at risk of losing your teeth. Gum Disease is caused by a build-up of plaque around the gum line. Continuous build up irritates the gums making them become inflamed and possibly bleed. Simply brushing your teeth and by flossing or using interdental brushes will ensure the plaque is removed keeping your gums healthy. Sometimes when plaque has built up to the extent of turning into calculus it is virtually impossible to remove at home. This is where the Hygienist comes in. She will clean your teeth thoroughly and advise and instruct on how best to keep your teeth clean and healthy. Everyone’s teeth are different, some of us a blessed with perfectly straight teeth whereas some of us have crooked or gappy teeth. Whichever your dentition there are different oral hygiene aids available to help us keep our teeth clean. One of the roles of a Hygienist is to educate patients on their oral health. The Hygienist will demonstrate how to clean teeth and the correct technique to use. 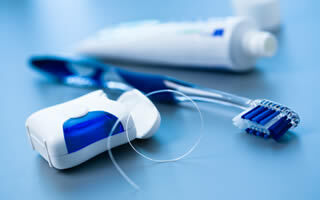 Over 75% of people do not brush their teeth correctly with only 21% flossing regularly. A Hygienists service is often undervalued but it is an extremely important one. Her role is mainly prevention and regular cleaning appointments with her will make sure your mouth stays healthy. Your diet can play a part in the health of your teeth and mouth too. Certain foods and drinks can cause acid erosion and decay as well as other problems. Seeing the Hygienist can help spot these signs early and she may suggest alternative foods and drinks. Smoking has so many effects on your teeth and gums. Severe staining can occur as well as causing your mouth to become dry. This will then increase your risk of Gum Disease. Smoking also slows the healing process. Giving up smoking will not only benefit your teeth and gums but will have a big impact on your overall health. The Hygienist can advise on how best to cut down on your smoking or even better to stop completely. The Hygienist is not just for adults but children too. Children, especially those around the age of 10 and above, can be ‘lazy’ when cleaning their teeth. We believe education is the key. Once a child has been shown the correct way to care for their teeth, this ensures good hygiene habits for life as they are highly likely to carry on the techniques shown throughout later life. For children who are susceptible to decay, the Hygienist can place Fissure Sealants to their molars. This will protect the biting surface of the tooth by smoothing over the pits and grooves making it less likely for foods to stick to.